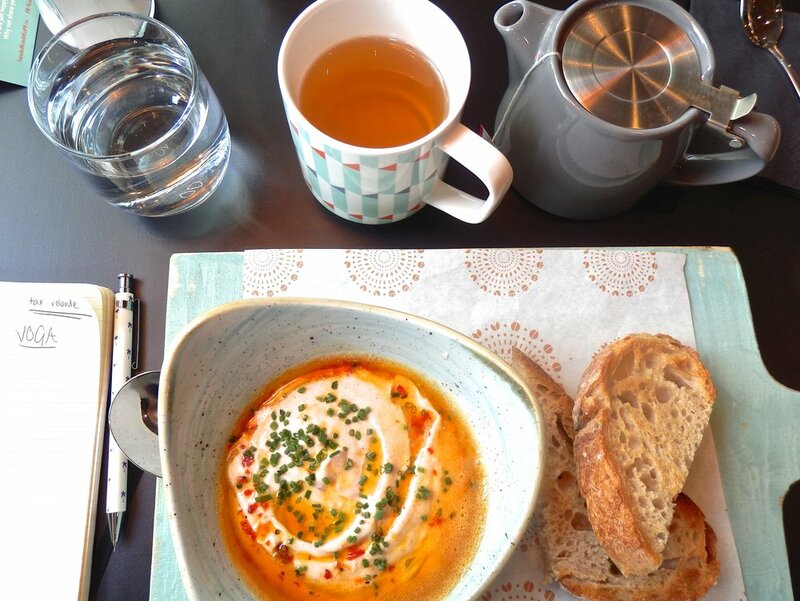 As a breakfast lover I was really excited to be invited to KuPP, a new cafe on the Paddington barge that had recently opened. Walking into a beautiful industrial space within sky rise offices was a jarring contrast in a good way. A cosy break away from the buildings around, the 70s inspired decor was gorgeous. Mismatched chairs in deep aqua and mustard yellow, with rose gold tables and art Deco prints, it's laid out to feel open and spacious yet welcoming. 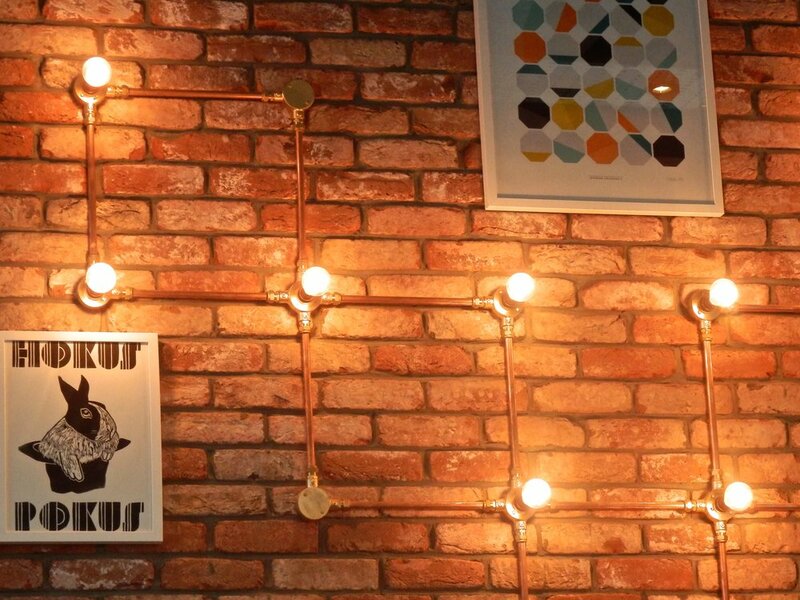 And of course all of the copper lights and pipes were the epitome of hipster chic against the exposed brick walls. The staff and manager were so happy to help with anything and take any tips on board, that you could tell they just loved what they do. The place easily could have felt impersonal but with their friendly chatter and some amazing tunes being played (David Bowie's "Golden Years") it beat any Starbucks or Costa that I'd ever been in. 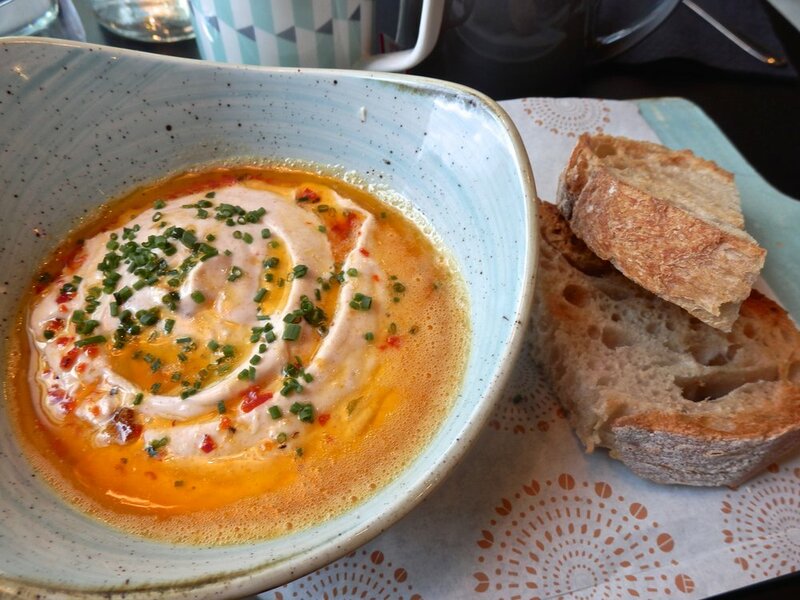 And seeing as I was able to try anything on the menu, I went for a spicy poached egg with yoghurt, chives and sour dough bread, despite being tempted by fruity granolas and pastries. I cannot remember the time I had such a delicious breakfast: not too spicy but just filling enough without being too overwhelming, it was the right amount of food. I'm an eggs-for-breakfast girl so I'd be content having this pretty much every day of the week. And washed down with nice big mugs of green tea (why are mug so tiny these days?) and a bag of their hazelnut praline coffee was the best way to start my morning. Next time I have a wait at Paddington, I know where I'll be ending up. Especially with a card for free coffee as I forgot to try any out this time.